Our feet support us from the very first step we make in life. In our lifetime, we cover up to 100,000 miles with them – that is about 4 times around the globe. In order to get that far, we have been relying on a useful companion for 2,000 years – that is the shoe. It has to carry the weight of our body. On the outside it withstands the friction of the street and inside it bears the pressure of the foot. It is intended to hold and protect us, adapting to our foot like a second skin. Only if it achieves that perfect blend between hard and soft, supporting and resilient, the shoe will give you that certain feeling… to walk with ease. The choice of material already offers a tremendous scope to underline your own personality. Whether you decide for traditional kinds of leather such as calf, goat or sheep or rather for kangaroo leather – it will have a marked effect on your apearance. 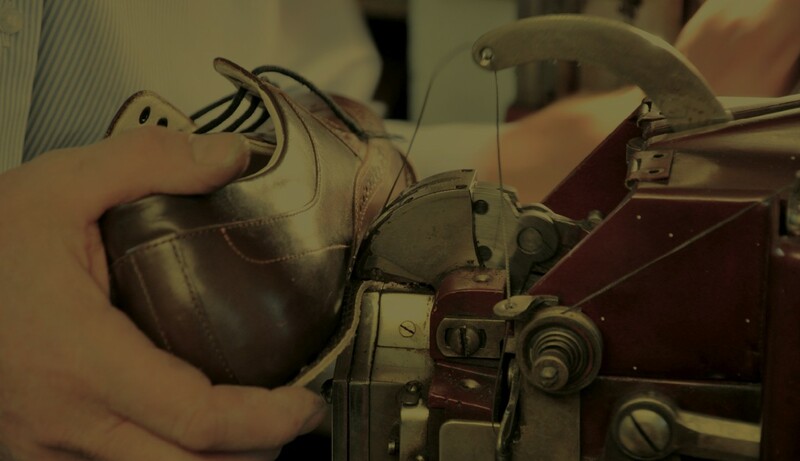 This is why competent and experienced staff are at your disposal at Rolf Rainer's to help you find the shoes which are perfectly in line with your personality. A plain classic, or timeless elegance, or something unusual, playful or extravagant; one colour or mixed cours - every shoe is a unique handmade specimen underlining your character. 1997 permanent exhibition together with a Bonn photographer on the topic of "foot pictures"; leading a training course about "alterations of shoes to suit the foot"
foot scanner installed in Rolf Rainer's workshop; exhibition "from head to foot"
2016 Participation in the “Independent Shoemakers Conference” in Birmingham, UK; development of a proprietary regional upper leather: “Neanderthal Buffalo Leather with herbal tanning”; organization of the first meeting of German-speaking shoemakers for custom-made shoes in Düsseldorf together with 34 colleagues. 2017 Visiting lecturer of Düsseldorf Fashion Design Institute.